It’s been the usual crazy life here here on the farm. Lambing has finally finished (January through to April). We did feel it this year. Alongside setting up our Country School we were pretty worn out by April! Farmers rarely take holidays but we have enjoyed an annual week away in August/September in West Wales for a number of years now. Our children have also been to Ireland, Scotland and England but apparently are the only children “in the world” to have never travelled “abroad”. After long deliberations about where to go for a break this August, I ended up booking a last minute deal to Lanzarote in Easter! Our very first family holiday abroad! After trawling the internet and looking at August prices, it suddenly dawned on me that we have finished lambing, not started shearing and all the animals are outside so easier to manage (apart from our calves being hand reared). On one week’s notice, family members were drafted in to look after the animals, passports checked (obtained 4 years ago in anticipation ….) and the holiday was booked! Beverly Hillbillies abroad! Many thanks to all the airport and hotel staff who saw our perplexed faces and helped towards what has been our most relaxing holiday ever. Volcanos, exploding chocolate fountains and sting rays all added to the fun, and no cooking for a week!!!! Back now in the real world…………. “Do you think it’s a wind up?’ was my initial response as I stared in awe at the royal invitation, lying on the kitchen table. At the time of writing this blog, I am off to see the Queen and Duke of Edinburgh tomorrow. I am pretty sure that there will be a few hundred of us and that it is not a personal meeting! A celebration of the diamond jubilee. Got myself a nice frock…….watch this space! 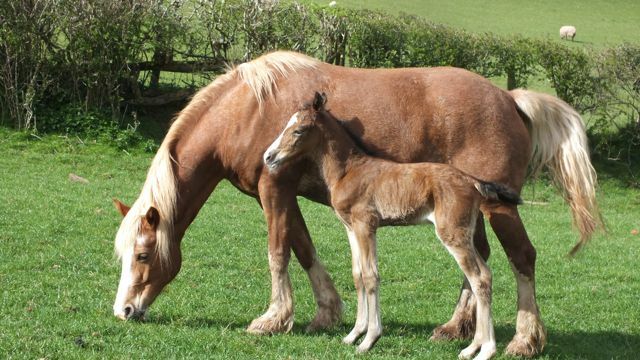 We had a lovely filly foal born here this month. Mum is a beautiful cob belonging to our nephew. Mother and daughter doing well. Unconfirmed but possible name – April? Well I don’t know about little April showers, we have had blustery downpours in the last week of April! Although the outdoor pig enclosure is finally completed, we’re waiting for the weather to clear before the pigs try it out for the first time. Some of them are very young! Sheep Husbandry – 4th May. For all budding shepherds! Includes dagging, foot trimming, parasite control, nutrition, housing and more……. Don’t be sheepish, come along! 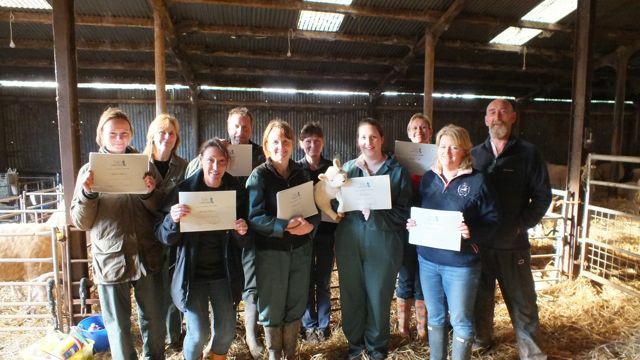 Introduction to Livestock – 11th May. 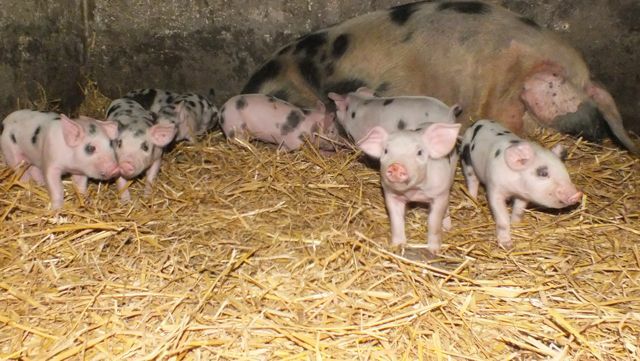 Lovely introduction to sheep, cattle, pigs and chickens for small holders or complete novices who just want to have a go! We now have our very own pub! 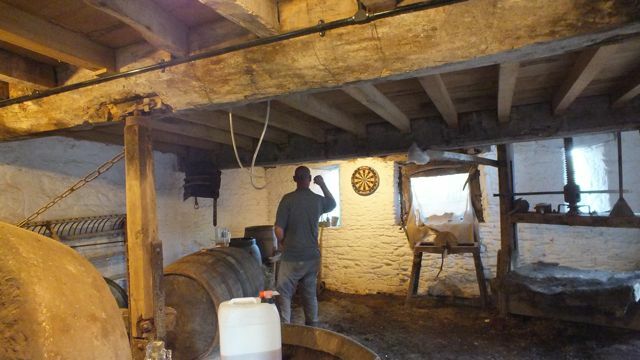 Well actually we’ve just put a dartboard up in the cider house. The radio provides the music unless Jim is singing after sampling the wares! I’ve got to say it is tasting lovely, but I have concerns as to how much we will have left for our Cider Courses!!! Did think that 150 gallons might be enough to keep us going!! Will blog again soon with more news from the farm and royal meetings!